All products are approved for use by the Environmental Protection Agency and when used according to label directions present no significant health risk. Material Safety Data Sheets for all of our products are available upon request. No, a thorough twice a year service (Spring/Fall) that coincides with peak levels of pest activity is sufficient. 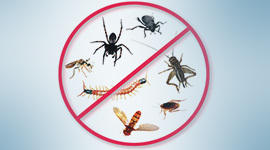 Do I have to sign a contract for pest control services in my home or business? No. 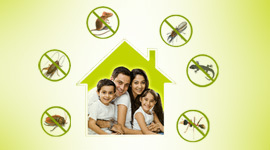 Doctor's Pest Control Service, does not require a customer to sign binding contracts. You may cancel our services at any time for any reason. My neighbor had a termite treatment done on their home. Do I have anything to be concerned about? You should have your home inspected to be sure you do not have a termite infestation in your home. Termites are subterranean (they have colonies in the ground) and tend to be widespread in some areas but not others. If your neighbor has termites it means they are present in the soil where you live and you have a good reason to be concerned. There are several different techniques that we use to eliminate termites from a structure. It will be necessary to inspect the house first to determine the best method for your particular situation. There is no charge for the inspection and estimate.